Let's look at your path, the probable future that you are drawing to yourself, for every thought and action is a ripple of energy that shapes your future, and you have the power to change, once you become aware. The real thing! Shes amazing! Love and relationship Tarot readings are my specialty. (Runes and Angel Cards are available on request, as a cross-reference to the Tarot reading.) Usually, Tarot cards give more detail, while runes and Angel Cards are better for reading "the big picture" and personal development questions. If you thought you had a connection that would enrich both of your lives (and now he/she is behaving in a way that confuses you) and you feel that well-meaning friends (who have never felt this way) would try to offer advice, using words like obsessed, addicted, and co-dependent, do not worry: The Tarot will tell us what is going on below the surface. I received my first deck of Tarot cards in 1973. Since then, I have used the Tarot, Runes, Angel Cards and my intuitive abilities to help many people in many ways (I also read for myself). Often, I don't need the Tarot to know what I know; however, it is best to look at a question from several angles, cross-referencing layouts. Also, during your Tarot Reading, try to sit in a quiet, private space that is free from distractions. Make a note of any questions that arise during the middle of the reading. If your new questions have not been answered by the end of the reading, they can be read at that time. Sometimes the Tarot does not tell us what we want to hear, and I wish that all answers could be optimistic, but I will not give you false hope. MsLaurel has been a user of Keen since 2001. 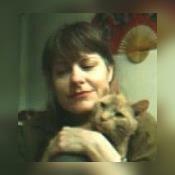 Getting Tarot Readers advice from MsLaurel through www.keen.com is safe, secure and confidential.